Monster High Frights, Camera, Action! Dressing Room Playset Only $13.99 + FREE Shipping! You are here: Home / Great Deals / Amazon Deals / Monster High Frights, Camera, Action! 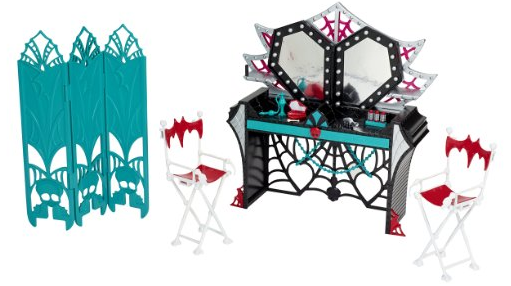 Dressing Room Playset Only $13.99 + FREE Shipping! This is a “screaming” deal if you have a kiddo who loves Monster High! Grab the Monster High Frights, Camera, Action! Dressing Room Playset for just $13.99 + FREE shipping with Amazon Prime or Super Saver Shipping!